Epicenter Cycling in Aptos is the place to go for bicycles, accessories, and clothing in Aptos. It’s located in the Aptos Station shopping center, in Aptos Village, across from Aptos Village Park on the road to the Forest of Nisene Marks State Park. I don’t know how the owners chose the name for Epicenter Cycling, but I’m speculating that it has something to do with the fact that the 1989 Loma Prieta earthquake had its epicenter in the Forest of Nisene Marks, and that many bike riders who go riding in Nisene Marks purchase, rent, and have their bicycles serviced there at Epicenter Cycling. The staff is friendly and helpful, offering expert suggestions and guidance for all levels of rider, from children to seniors. They are a Trek dealer, and so have a very wide selection of Trek bicycles. Trek also is the manufacturer of Electra bicycles. The Electra brand includes models that are beach cruisers rather than Trek’s traditional mountain bike offerings. They also offer a number of e-bikes, which is a growing market as consumers seek more environmentally friendly methods to get around town. When you purchase any bike from Epicenter Cycling, they also offer free tune-ups for as long as you own the bike. 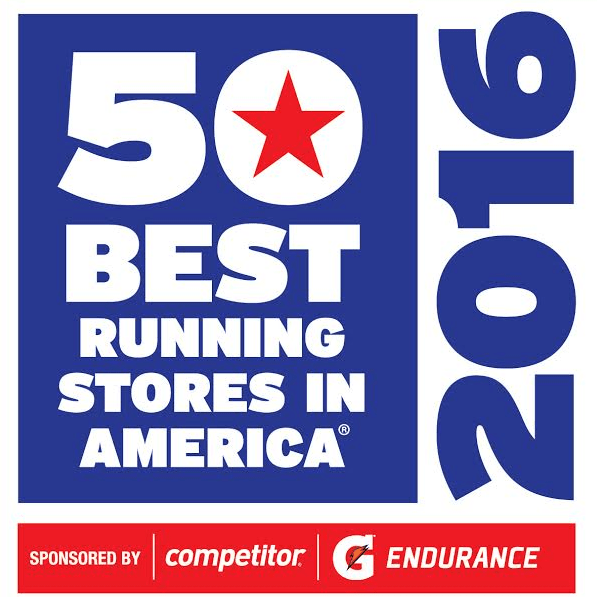 Fleet Feet Sports in Aptos Named one of 50th Best in USA! Did you know that Aptos is home to one of the very best running shops in the entire US of A? For the third time in four years, Fleet Feet Sports is honored as one of the 50 Best in USA by Running Insight and Competitor Magazine. Fleet Feet Sports Aptos took its place among the country’s elite retailers following an extensive nomination and review process throughout 2016. The judging culminated in the store’s recognition at a gala awards ceremony in Orlando on Dec. 1, 2016, as part of The Running Event, an annual conference and trade expo for specialty running retailers. Fleet Feet Sports in Aptos was selected after a rigorous vetting process that rated the store on its service, product knowledge, merchandising and community service. The shop will be featured in a special issue of Competitor magazine distributed nationally. The store will also receive a commemorative plaque to mark the award. Each of the 50 Best winners will also share the award with consumers via a special window sign supplied by Competitor that indicates the store as a 50 Best 2016 winner. The process of compiling a list of the top 50 running shops in the country began early in 2016 when Formula 4 Media, with the help of Competitor Magazine, began to collect and evaluate nominations from runners, soliciting feedback from consumers on their favorite running stores. More 16,000 individual customer nominations were received. A panel of industry experts from Franklin Resource Group mystery shop nominated stores to evaluate on 20 different aspects of retailing, including product knowledge, environment, vendor relations and community involvement. 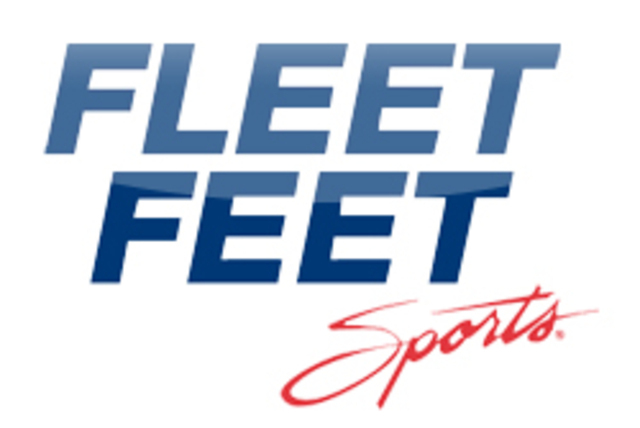 Congratulations to Russ and Tina Coillot of Fleet Feet Sports! They have been tremendous supporters of our Aptos community and it’s wonderful to see their shop receive the recognition it so richly deserves. The Mulberry Gallery is located in the Aptos Village Plaza shopping center, in the heart of Aptos Village. It is run by the husband and wife team of Del and Barbara Crawford. The Mulberry Gallery specializes in exquisite, custom framing for your artwork and photographs. They don’t simply build frames – they design them to suit both the artwork and the home, office, or gallery they will be displayed in. If you have an art collection and you’re in need of distinctive framing to highlight it, the Mulberry Gallery is the place to go. In addition to custom framing, Barbara Crawford is an accomplished photographer who creates unique and inspired family portraits. Examples of her work are on display in the gallery. Caroline’s Non Profit Thrift Shop is located in Aptos Village. The shop was founded in 2010 by Christina Licker, who continues to work as the director today. Their primary mission is to raise funds for Santa Cruz County non-profits that have programs and/or services for children with special medical, developmental, or psychological needs. In just over four years, Caroline’s Non Profit Thrift Shop has donated over $600,000 for these and other worthy causes. The shop is staffed by approximately 70 volunteers and is loaded with unique, high-quality, and rare items that have been donated by families near and far. They have a little bit of everything: dishes, linens, children’s clothing, toys, sporting goods, ladies clothing, accessories, a few choice items for men, and furniture, art and lighting. 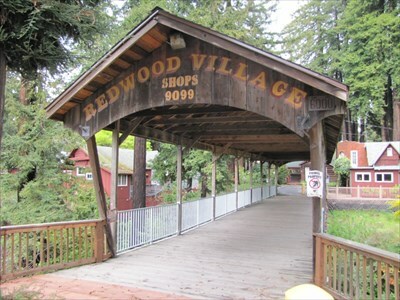 Redwood Village in Aptos came to being in 1929. It was built on the former site of Claus Spreckels‘ horse stables, located along the road from Watsonville to Santa Cruz. Back in the day, this may have been the first experience for visitors coming from the south to see a redwood forest up close and personal. Over time, the redwood trees were thinned out and the timber milled to construct the guest cottages. Decades later, in 1974, the property was converted into use by shops and businesses. It is located on Soquel Drive, conveniently closed to the freeway exit / on-ramp at Rio del Mar Boulevard, which gets a lot of Rio del Mar neighborhood and Rio del Mar Beach traffic. Thinking about making a trip over the hill to Sur le Table or Williams Sonoma? Why bother, when Le Chef Kitchen and More is located in the Rancho del Mar Shopping Center in Aptos? Le Chef Kitchen and More in Aptos was opened way back in 2005, by a husband and wife team (Dee Dee and Keang Lee) who really know their stuff. They are very helpful and service-oriented, and provide a very wide selection of unique, high-quality items you may not find anywhere else – even the aforementioned mega-mall kitchenware retailers.